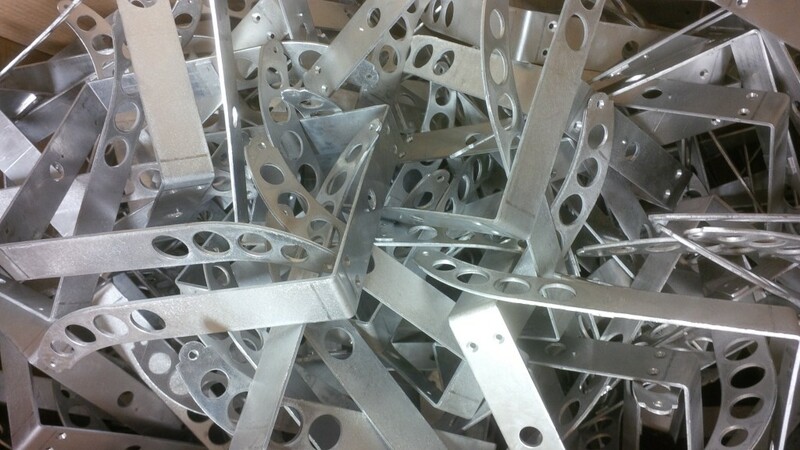 Sheet metal components can be manufactured in a vast array of sizes, materials, thicknesses and designs. V and F Sheet Metal are a sheet metal component manufacturer who love to take your designs and turn them into reality. With the ability to take your 3D and 2D CAD data and analyse it for the best methods of manufacturing they can help you to receive sheet metal components that are to your requirement and at a competitive price. Here we have a recent manufacturing project, these aluminium brackets are typical of the sheet metal projects that they get involved with. 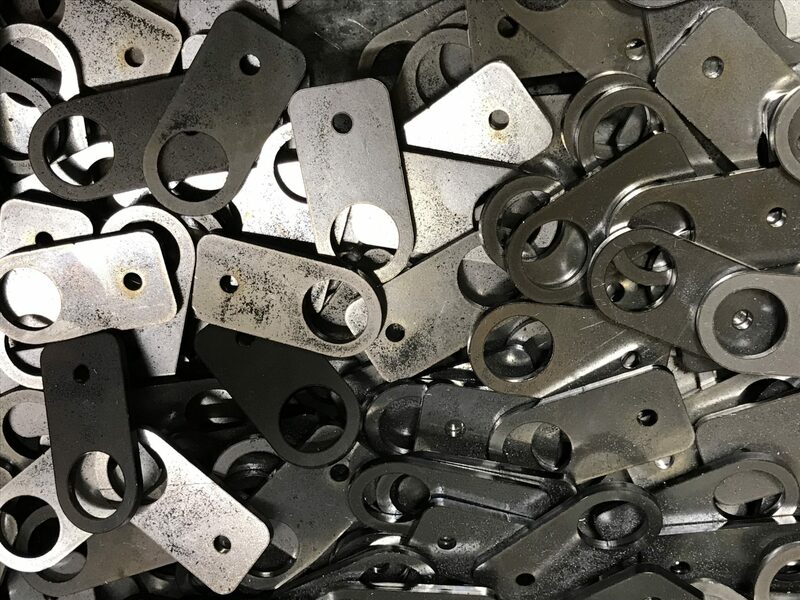 The processes involved with manufacturing these sheet metal components were CAD/CAM CNC programming, CNC punching the sheet aluminium, edge de-burring, countersinking, solid riveting, cleaning up the rivets so they were invisible on the outside of the bracket and CNC bending. If you take a look at the list of posts on the website you will see an interesting range of sheet metal components and the processes used to manufacture them. If you have sheet metal components that you want to purchase and have a drawing or even just an idea of what you want please contact V and F Sheet Metal and they will be happy to help you. Here’s some more sheet metal work examples that have recently been manufactured by us by CNC punching, laser cutting and CNC bending. 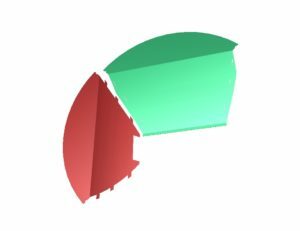 All three parts have been generated within Radan sheet metal software before generating the CNC programs needed to drive equipment to cut and fold the parts. 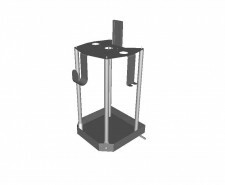 The 3D models allow us to test out design ideas, check that parts can be manufactured correctly and that features work such as hole alignments, fit clearance and that we have the correct tooling to suit the customers designs. 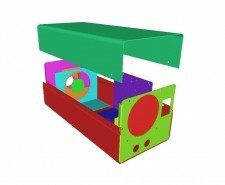 The 3D models can be generated by us here at V and F Sheet Metal or imported direct from our customers when needed. 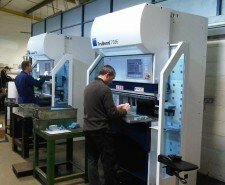 We can also export the model data if needed by our customers to aid their design assemblies. If you have a sheet metal work project and you want us to create a 3D model first please contact our programming team for more information. 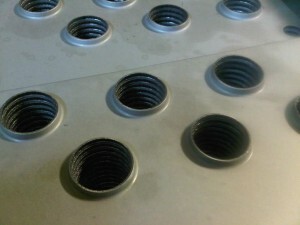 These ventilation panels are used on heating units with formed extruded sections. The ventilation panels are used to support the heating coils within the heat unit body (which can be up to 2.5M long) and are manufactured from Zintec coated mild steel. The extruded forms are produced in the panel by first piercing a pilot hole smaller than the final extruded hole in the sheet metal and then a second operation of a male and female former tool come together to push the excess metal through the sheet. 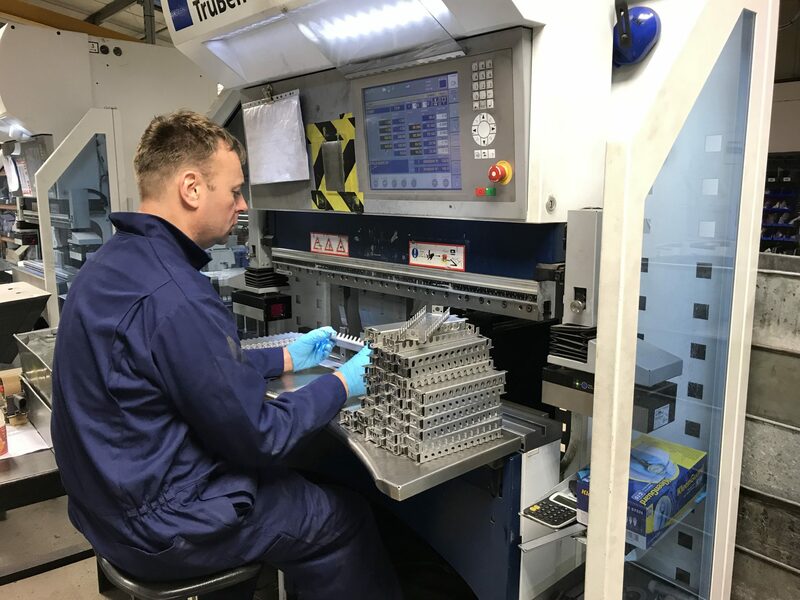 Each formed extrusion is produced in a second on one of our Trumpf CNC punch presses making the process very easy and cheap to perform and yet perfectly repeatable within the program right across a full sheet of metal. The depth of the form within the panel can be controlled by altering the size of the initial pilot hole within the CNC program. This 2.5mm thick 304 type stainless steel plate is used as a ceiling adaptor or mounting panel for a small replacement light fitting. When a ceiling has lighting replaced there may be a hole that is too large for the replacement lighting and rather than renew the whole ceiling sometimes ceiling adaptor or mounting panels can be used to allow new smaller light fitting to be used with the minimum disturbance to the original ceiling structure. This ceiling mounting panel has been made from stainless steel sheet metal and has a machined beveled edge all around to produce a pleasing effect once installed in the ceiling. There are weld studs on the back face to fix the light fitting to and the front face has been posy op polished to give the clean smooth effect seen here. 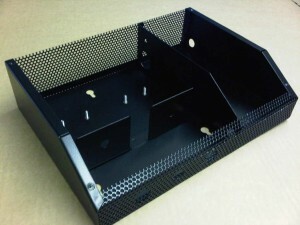 Here is a simple mounting panel used within an electronics housing. 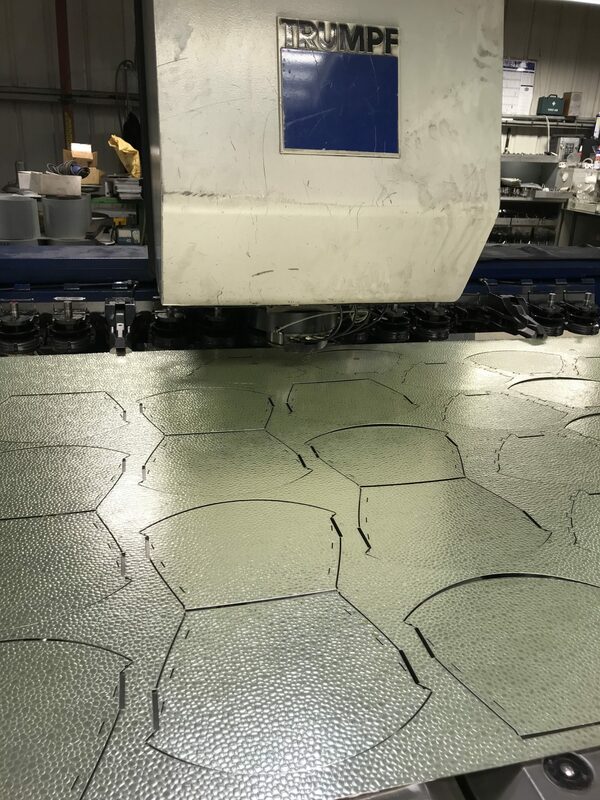 This panel has been manufactured from 1.2mm aluminium sheet on a Trumpf CNC punch press, edge deburred and then had 5 self clinch bushes pressed in place on our Haeger inserter press. 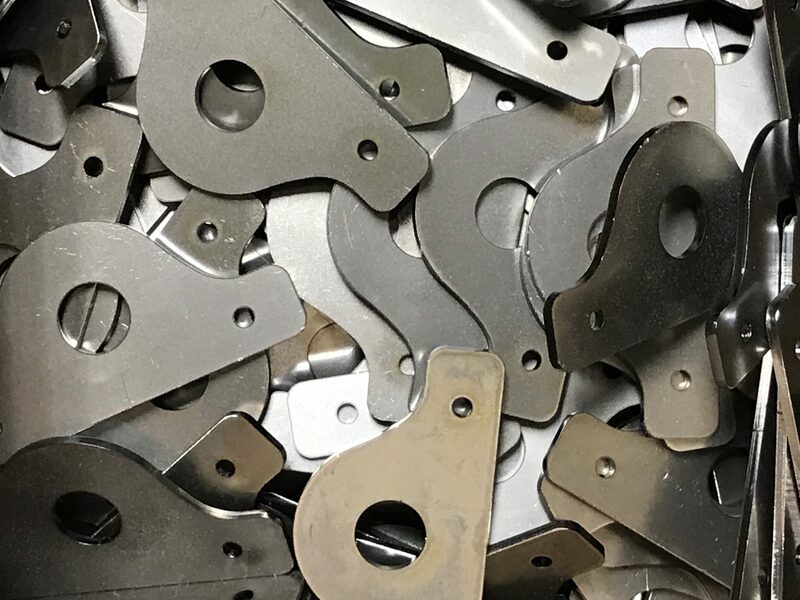 This small panel is typical of the huge range of simple sheet metal components that we manufacture in batches from just a few to many thousands. 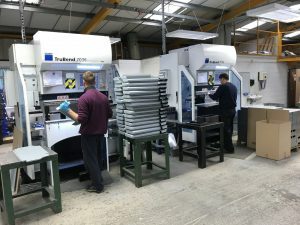 The advantage of CNC punching is the ease with which you can change batch sizes and create bespoke CNC programs just for one batch if needed to match production with customer order requirements or even KANBAN call off if required. 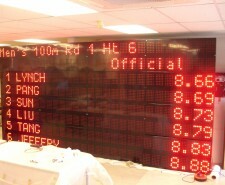 LED PCB mounting panels used within LED display board units for moving image and text signs. These mounting panels have been CNC punched and CNC bent using Trumpf equipment in our manufacturing factory in Fareham, Hampshire. 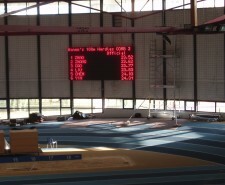 They are an example of a large range of display panel work that we make from aluminium sheet metal. The patterns of holes have been CNC punched using special cluster tooling which helps to reduce the time and cost of each part. The customer purchased the tooling for this panels and they are used across the range of their LED panels and they savings per part have paid for the tooling many times over. Whenever we have a new housing that needs to be developed for a customer we use 3D sheet metal modelling software from Radan. We can easily create a 3D model (of either a single part or a complex assembly of parts) ourselves from scratch or import your 3D data in either SAT or STEP format. The 3D model can then be used to calculate all the correct blank sizes, hole positions and corner notches needed to produce the correct CNC punching or laser cutting programs. Once folded up on one of our CNC press brakes or fly presses the final part will replicate the 3D model. 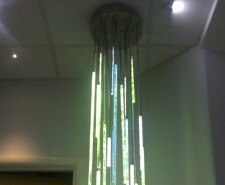 Here is a great example of a sheet metal housing we manufacture for a UK lighting company. 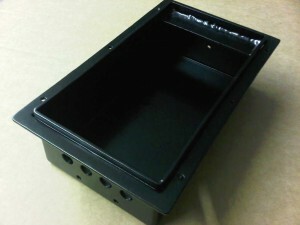 The housing has so many different manufacturing techniques needed to produce it including CNC programming, CNC punching, de-burring, CNC bending, bush and stud inserts pressed into place, spot welded fabrication and powder coating with the bush and stud threads being masked off to stop them filling up with powder when coating. The perforated sheet metal end plates act as added ventilation for the light fitting housing and have been CNC punched out of pre-perforated mild steel sheet. This sheet metal housing holds all the electrical control gear needed to drive a fibre optics bedside lighting unit often used in hotel bedrooms. This light fitting housing was again developed in Radan software using the 3D modelling tools to ensure all the fixing holes lined up and the cover of the housing correctly fitted over the body of the housing. The housing assembly was complex and many points had to line us correctly with bushes and screw clearance holes. Some of the countersunk holes were produced in our CNC punch presses using form tooling allow us to press the countersink form in 1 second. The blue and green plastic coating the aluminium sheet is to help protect the surface and reduce scratched in production. Once the housing parts have been finished they have the plastic film removed and then silver anodised. 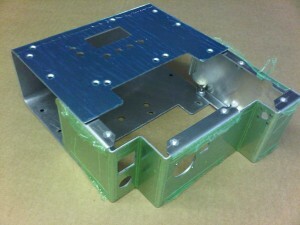 Strong sheet metal housing constructed from aluminium. All the corners have been fully seam welded together with various plates inserted into the housing. Once again, 3D software helped us to develop all the correct sizes needed to manufacture the housing and to produce 2D drawings with inspection points. 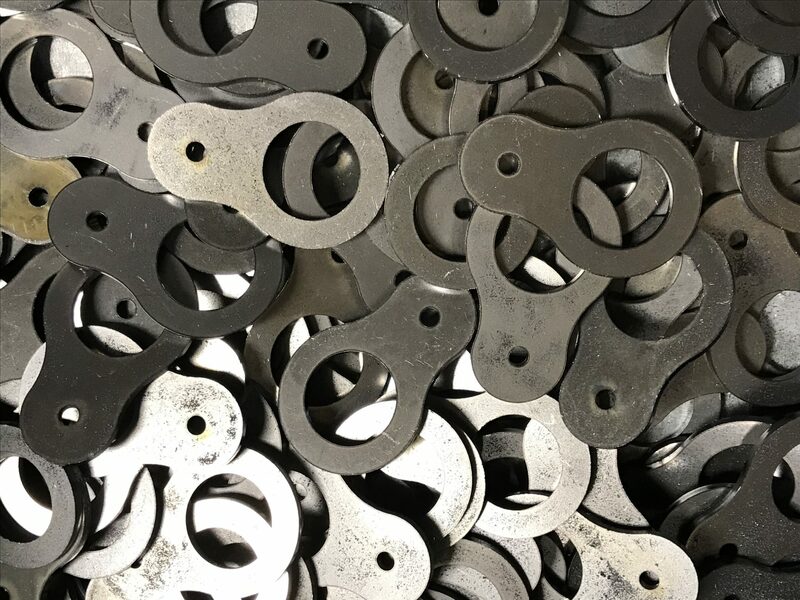 With all these housings whether they are just folded up to fit together, spot welded fabrications and fully welded the importance of producing the correctly sizes parts starts from accurate CNC punch press or laser programming. 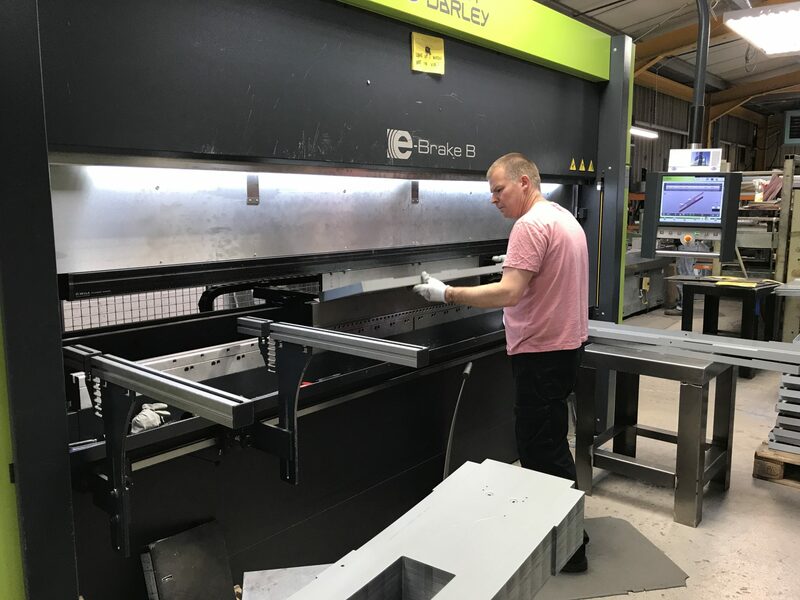 If you have a housing that needs to be manufactured from sheet metal we will have the right approach to produce the housing efficiently, accurately and at a price that will help you be competitive, please give us a call or send you drawings to us for a quote. Whenever you want a sheet metal section bent up as an “L” angle, U channel, “Z” section or more complicated cross section we are here to help you. 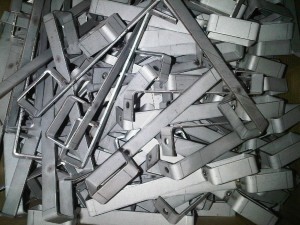 You may want a small sheet metal bracket bent into a “Z” shape or a 3.0M long “U” channel either way we can help you. 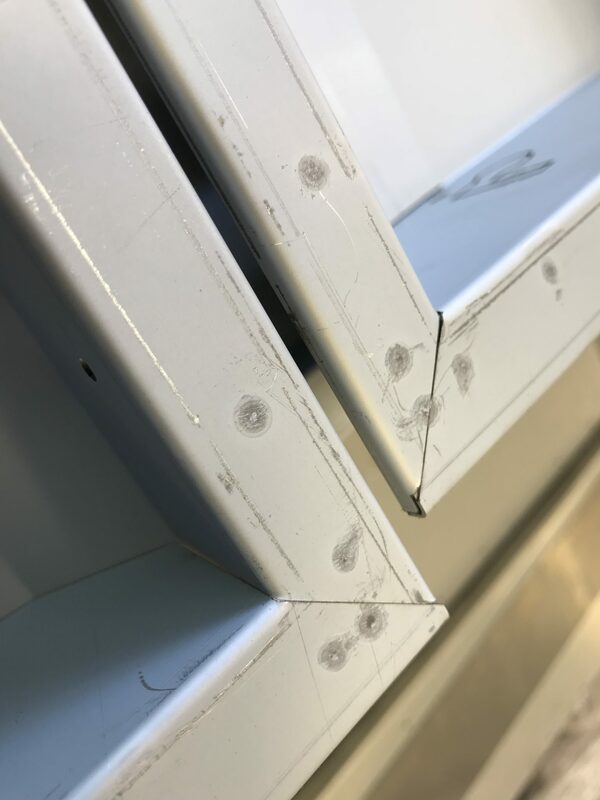 With standard CNC press brake tooling, over bend tooling, safe edges tooling and swan neck tooling most shapes that you come up with in many materials from 0.3mm thick to 6mm thick we will be able to help you with. We can even produce curved sectioned without special form tools by using a multi-bend technique allowing a series of close bends to form a curve section in small steps. 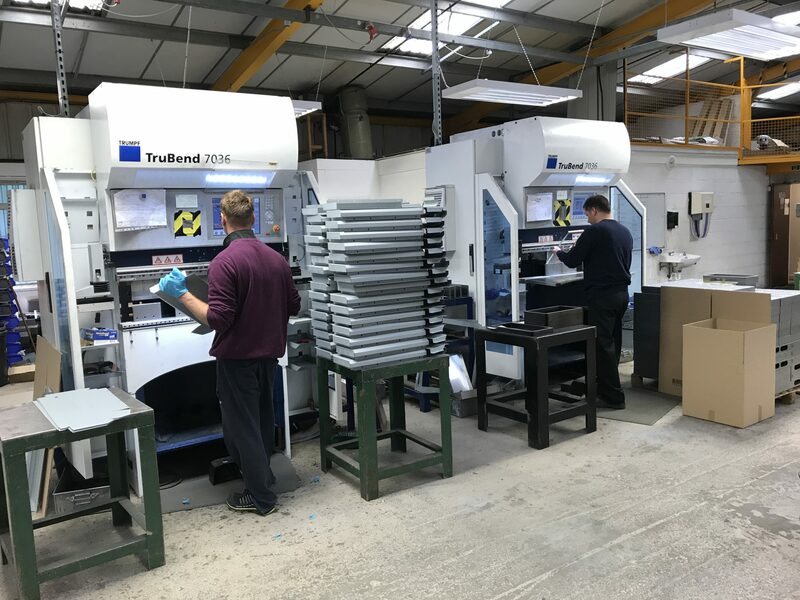 Using our Trumpf 7036 CNC press brakes to fold sheet metal sections up to 1M long is easy and we have 3 of them for larger production orders when needed. 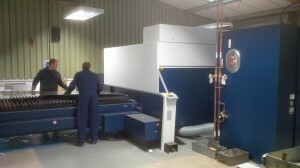 If however you have a very long section we will use our Safan e-Brake CNC press brake with it’s 3M long bend. If you have a project that needs manufacturing and you need sheet metal channels contact us on 01489 577786 and we will be happy to chat through your ideas and sort out some prices for you. 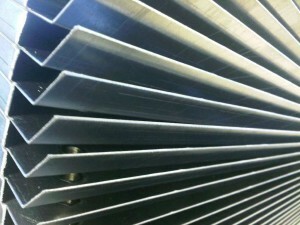 Mild steel sheet metal work from our recent projects. With such a large range of sheet metal work going through our factory here in Fareham, Hampshire every day of the week it wasn’t difficult to find a few good examples of mild steel work to show off today. 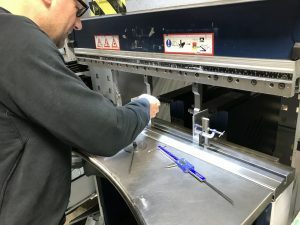 Being able to manufacture single parts and completed welded assemblies from mild steel sheet we can produce a range of parts from the size of your little finger nail up to 2.5M long and in a range of material thicknesses. You may want just a few samples or higher volume repeat production, either are fine with us. Using flexible CNC (computer numerically controlled) machines specifically designed to manufacture sheet metal work enables us to offer you the complete sub- contract engineering service. 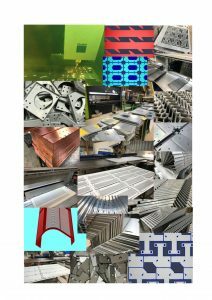 You only have to look at our gallery pages and plant pages to see just how many different types of sheet metal work we manufacture be it mild steel, stainless steel, aluminium or more exotic materials. Explore the images above to see just how flexible designing and manufacturing with modern sheet metal CNC machine can be. 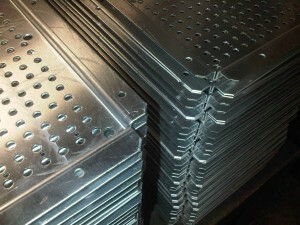 If you want to learn more about mild steel sheet metal and it’s different form please take a look at our web page. 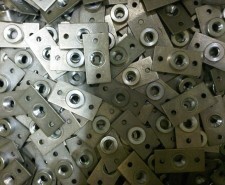 Sheet metal components can be enhanced by the use of self clinch and anchor rivet inserts. 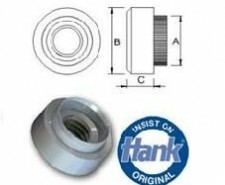 When components need permanent fixed threaded features these bushes and studs are a perfect solution. 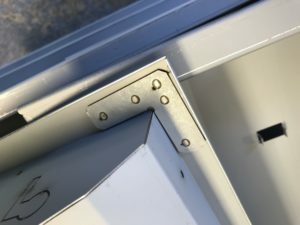 Whether it’s a fixed nut into a side of an enclosure, an earth stud on an electronics chassis or a captive screw in a sheet metal back panel there is a solution that we can offer you. Using our Haeger inserter machine and a range of fly presses with standard tooling we can offer you a solution to all your insert problems. These inserts are ideal as they are quick to insert, reliable and mostly cheap to buy. 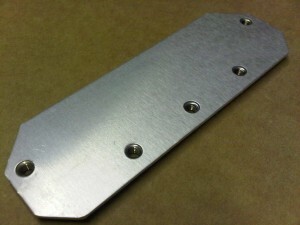 If you want to see more examples of sheet metal work with inserts in place please take a look at our gallery web page. If you are not sure which insert you should specify just give us a call and we will be happy to talk through your design with you and see which option would best suit your needs. A big thanks to TR Fastenings for allowing us to use their images here to illustrate the range of inserts that are available. Sheet metal brackets, housings, enclosures and chassis modeled in 3D using Radan software. The best way to be sure of getting a sheet metal project right is to create it in a 3D environment before committing to CNC punching any materials. Time can be reduced and material costs saved by working out all the manufacturing and assembly problems before starting any sheet metal production. 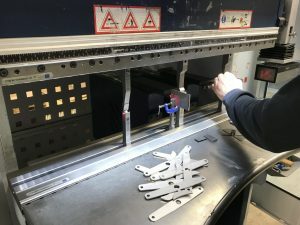 Please take a look at the gallery images below and you will see just how flexible this technique is when working on sheet metal sub-contract manufacturing projects for our customers. 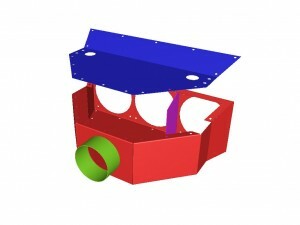 If you have a project and you need sheet metal parts but you are not quite sure how they may fit together we can take a look and help you with a 3D model, please give us a call. 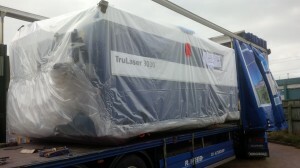 Sheet metal manufacturer in Fareham, Hampshire moves to a new manufacturing base. We are pleased to share with you the news that we have moved to our new factory in Fareham, Hampshire. This factory has been laid out for the efficient manufacturing of batches of sheet metal work for our customer in the UK and Europe. Over the next few weeks we will post a series of updates detailing how we moved all our sheet metal manufacturing plant and set up our new facilities. 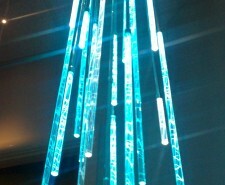 Not all lighting installations are permanent. A lighting scheme is often used for only a short length of time and then needs to be removed or reconfigured to suit a new layout. This can be the case where an exhibition stand needs lighting for just a few days and then needs to be quickly removed or perhaps in a museum exhibition where specific points of light are needed for just a few weeks. Lighting is often changed in retail outlets where different displays are created as the seasons change. One solution for this requirement for flexibility is to install lighting tracks where the individual light fittings can be moved along the track to any given point and angled to highlight any object. Hanging brackets such as those shown here can be used to support the runs of tracking from a ceiling of frame work structure simply and cheaply. 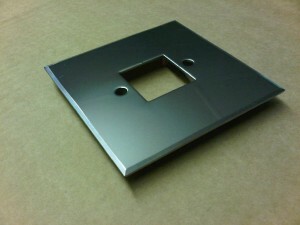 These particular brackets are manufactured from Zintec and can be powder coated to suit any installation colour. The hoop has been formed on a CNC press brake and the joint has been tack welded shut to maintain its shape and increase its strength. 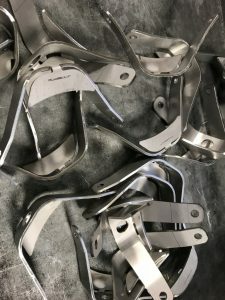 This type of bracket work is typical of the sheet metal work that we are often called upon to manufacture and help design. Perhaps you have an idea for a supporting bracket or angle and need a little help to finalise your design or advice on materials, please give us a call and we will be happy to discuss it with you. 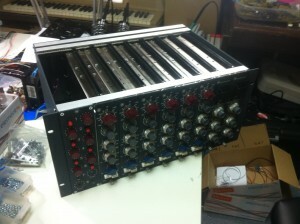 We are really excited to be able to help our customer develop a new range of high end hifi and studio audio equipment. 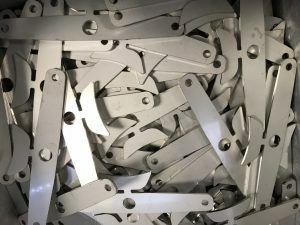 The entire range has been developed over the last 2 years and is growing thanks in a small part to the flexibility of manufacturing with sheet metal. 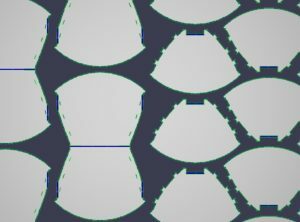 We have been able to offer advice on the most efficient design for manufacturing with sheet metal and swap data in 2D and 3D. 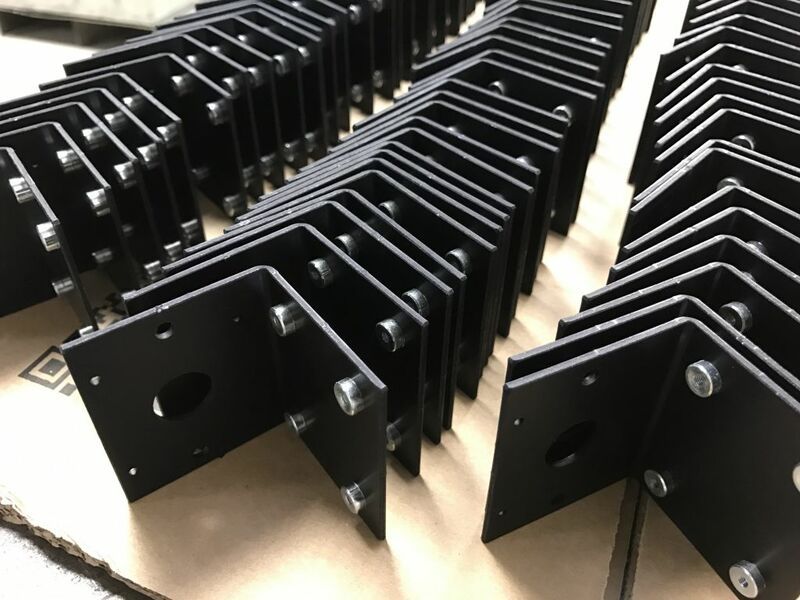 All the chassis parts, front panels and covers have been produced in relatively small numbers so far but when the quantities grow we will easily be able to expand our production with the same CNC driven manufacturing equipment. This flexibility has proven invaluable to several of our customers when prototyping new product ranges and then running in larger volumes. 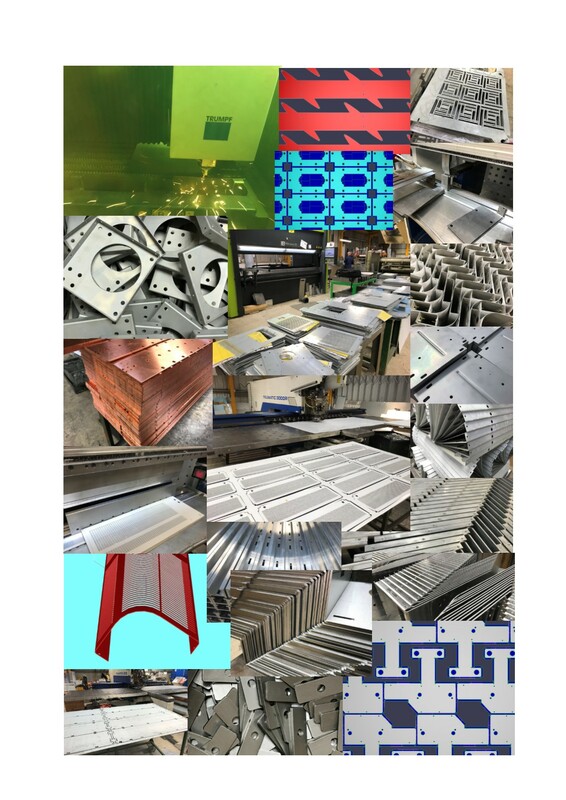 If you have a new project that needs sheet metal components and you want some advice on the best manufacturing option or a design that needs refining to cut costs, please give us a call or e-mail a drawing for review. 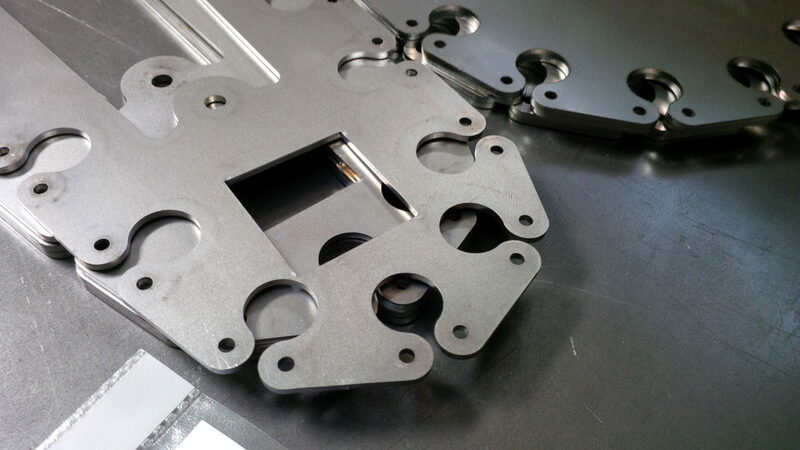 Sheet metal work can be so versatile with today’s powerful CNC manufacturing equipment. 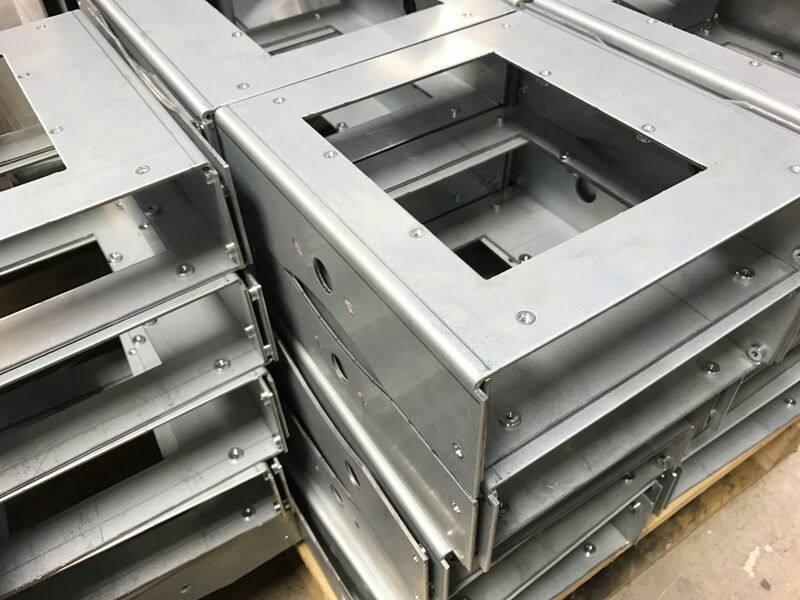 We have produced a series of sheet metal mild steel housings, covers and LED chassis plates in various sizes for LED signs. 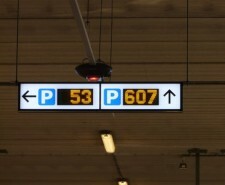 These particular signs have been used to indicate empty spaces in multi-storey car parks in a range of countries in Europe and further afield. 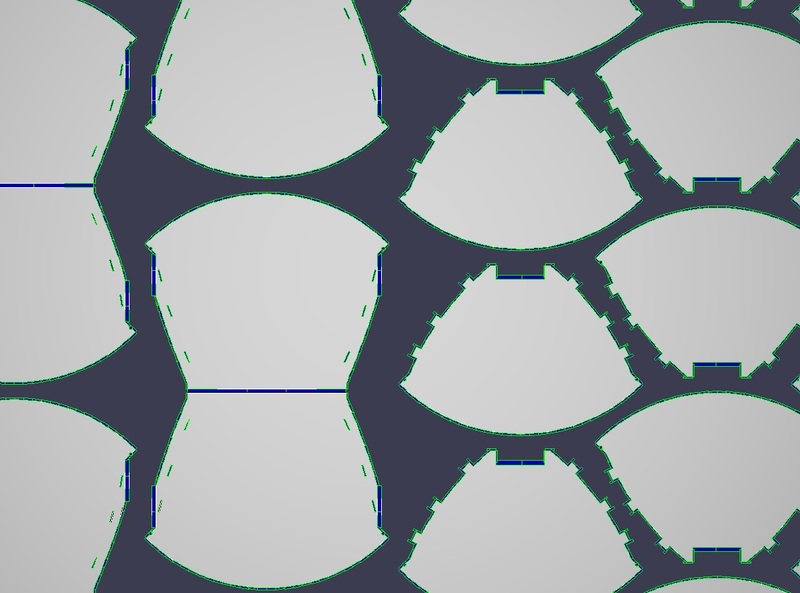 Once a basic design format has been established and proven different lengths and widths of housing and associated parts can easily be manufactured from existing developed blank data within our Radan software. This offers the advantage of mixing some standard units and special sizes together in manufacturing without stopping the flow of work and maintaining the lowest cost price per part. 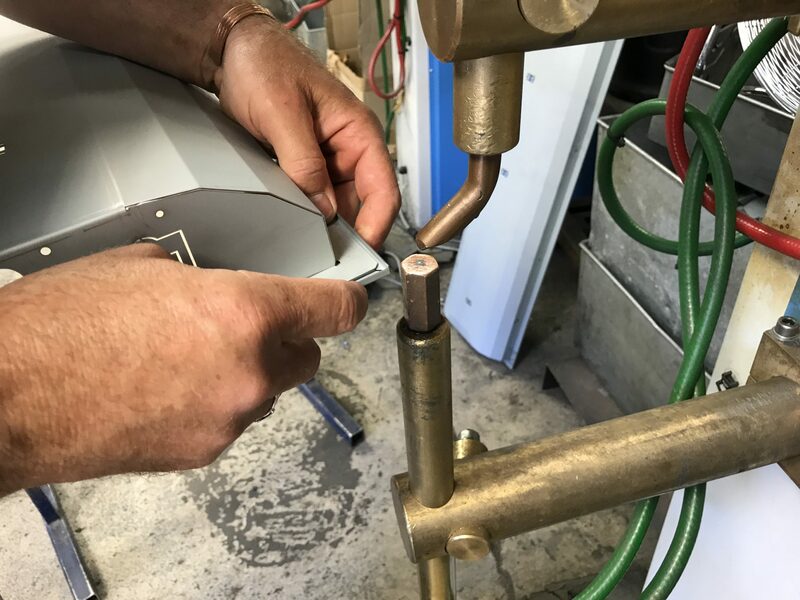 With any bespoke manufacturing project work the emphasis has to be on flexibility and for us this means the ability to change from one sheet metal part to another with little machine setting up time in between. With the design of the Trumpf CNC punch press single head design system we can change from job to job in minutes enabling us to punch out sheet metal prototypes within the mix of standard production work without any appreciable delay. When manufacturing bespoke LED display boards where the length, width, height and LED PCB layouts can change from project to project CNC punched sheet metal work is the way to go. With the ability to take previous CNC programs and adapt them to suit using parametric programming techniques new sheet metal fabrication projects can be created quickly with the knowledge that past cut sizes which have been proven to be correct can be retained as the basis for each new project. Our customer often has little time to get the initial order, write the software, design the LED PCBs and the mechanical parts for their LED display projects so knowing that the sheet metal work is sorted easily is a great help. Our relationship with the customer is such that the detailed drawings are given to us as DXF files with no dimensions and we are left to work from previous proven examples and take what data we need from the DXF. This saves our customer lots of time and enables us to solve our own problems using their DXF for sizes. 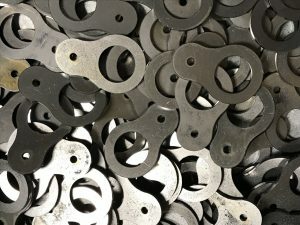 Using screws and nuts to fasten sheet metal components together has been a production method used for centuries. To speed up the assembly process or to fix a nut in an awkward or blind place is where self-clinch and anchor rivet buses really come into their own. We use a Haeger bush inserter and various manual and hydraulic fly-presses to press the fixings into our sheet metal work in all sheet materials from 0.7mm thick and upwards. Single side approaches, such as tubes, can also be dealt with by using Avdell style single side bushes. As well as standard metric and imperial thread bushes we regularly insert stand-offs, studs and many specialised inserts into our sheet metal work for example captive thumb screws. Have a look at our Haeger bush inserter webpage for more information on this plant and links to more detailed information on self-clinch and anchor rivet bushes. 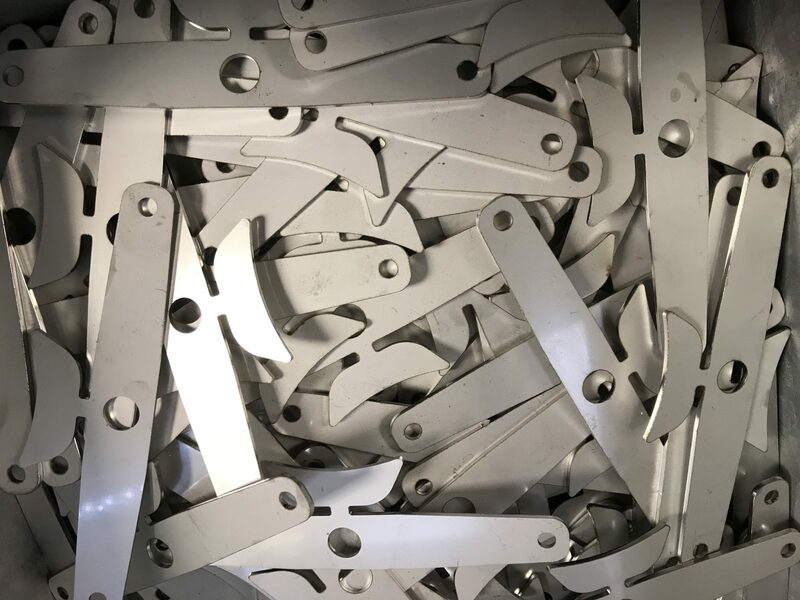 If you have an odd requirement and are not sure whether there is a sheet metal insert solution available for you give us a call and we can investigate it for you. 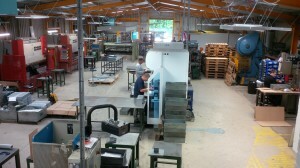 Being ‘tin bashers’ is not all hands on production when it comes to sheet metal work. Obviously the actual sheet metal work has to be produced on the shop floor with our skilled staff using cutting, punching, bending and welding equipment but there is a lot of preparation that has to be completed before any sheet metal work can be started. We often have to start with the clever computer bit as with this 3D sheet metal fabrication assembly that was created to check out the fit of all the parts. These 3D models, as well as allowing us to better understand the components we are going to manufacture, are an important source of manufacturing information. 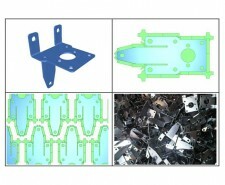 This information can lead to the data needed to program our CNC punching and bending machines. The process can work in reverse with us using our production data to generate CAD drawings and 3D models for our customers to take back into their systems to be used again in new sheet metal designs.